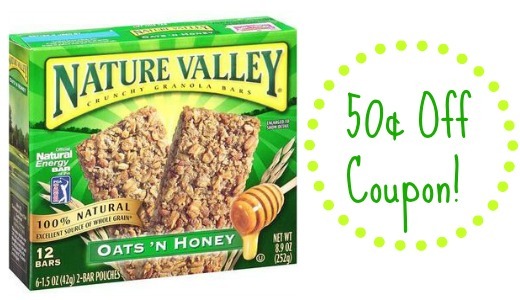 Home > Household Deals > Nature Valley Coupon | $1.99 At Kroger! Nature Valley Coupon | $1.99 At Kroger! Granola bars are a great snack to have on hand for the Summer plus they are great to pack for lunch too! Print the new 50¢ off coupon to get the bars for $1.99 at Kroger or wait for a sale where you can double the coupon. The Kroger deals ends 8/5.